3 BEDROOMS/2 BATHS ... SLEEPS 6 ... OPEN FLOOR PLAN ... LIVING ROOM ... FAMILY ROOM ... TWO 50" TVS ... OUTFITTED KITCHEN ... GAS GRILL ... HIGH SPEED INTERNET ... 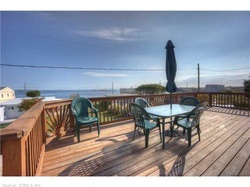 COMFORTABLE FURNISHINGS ... WATER VIEWS ... WASHER/DRYER ... WHOLE HOUSE CENTRAL AIR and MORE! SWIMMING ...SAND CASTLES ... CRABBING .... PLAYING ... BIKING... PICNIC ... TANNING ... BASKETBALL.. WALKING ... EATING ... FISHING ... TALKING ... CLAMMING ... and MORE! 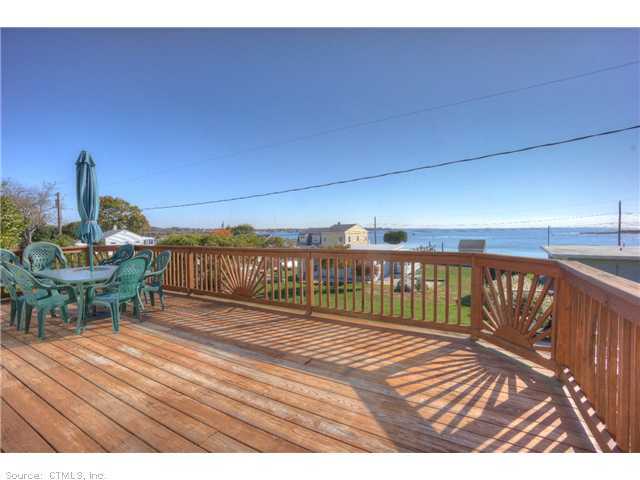 Rent our beach house in Mystic, CT and enjoy a traditional Connecticut Shore summer vacation convenient to Casinos, Mystic Seaport, Aquarium, Stonington, Connecticut Wine Trail and the other attractions. 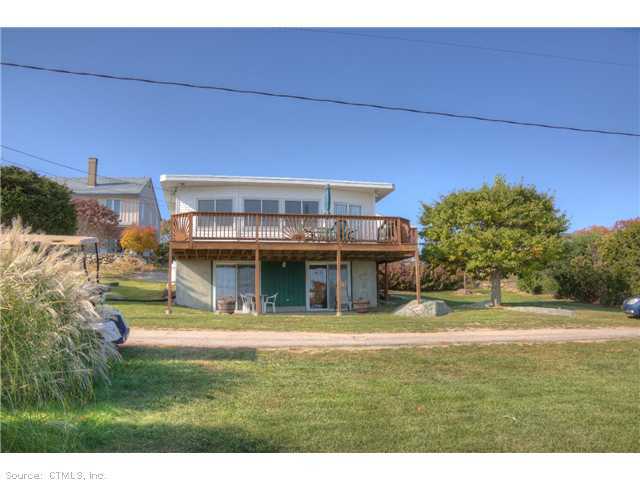 This house is a 3 bedroom 2 bath home that comfortably sleeps 6 people and is located in Latimer Point, a unique private beachfront community, that has 2 private beaches, playground, volleyball, picnic and boating areas. This Clean, updated, and comfortable beach house with Central Air, TWO Family Rooms, Nice Size Bedrooms, Water Views throughout, large decks and steps to the beach, water, and playground makes this summer vacation rental at Sandy Toes Beach House perfect for your family vacation getaway to Mystic, CT.
Latimer Point is situated between Lords Point and Masons Island and is perfectly located less than 5 miles from Downtown Mystic, the Mystic Seaport, the Mystic Aquarium, Drawbridge and other Mystic attractions. Experience the summer festivals, Connecticut wine trail, special exhibits and waterfront activities while enjoying Connecticut beachfront living at its best. Avoid the traffic jams and speeding cars of other shorefront locations as you relax at Latimer Point and enjoy the benefits of a private community. 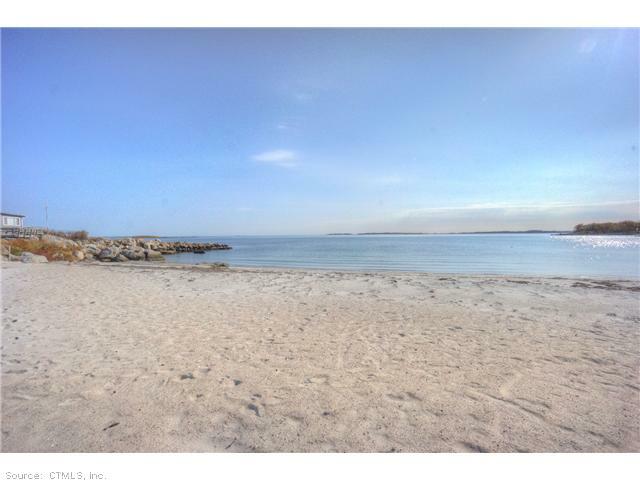 Relax with your favorite book on the front deck and enjoy ocean views that include Stonington Borough, Fishers Island Sound, Latimer Lighthouse and Fishers Island. Watch the next beautiful sunrise in your pajamas and check the calendar for the next full moon -- it will be spectacular over the water! Latimer Point is the perfect place to let kids be kids and where families can come to reconnect. There are two beaches each a hop, skip and jump from the beach house. The larger beach is perfect for swimming, soaking up the sun and building sandcastles. Find snails and hermit crabs while splashing in the calmer waters at the smaller beach. The playground with its swing set and slides also has a large green area that encourages family ball games. Volleyball and horseshoe pits can be found here. Our streets are private and pedestrian friendly. In fact, our roads are only ONE Lane and circular -- which means you can never get lost at Latimer Point. Walk, jog or bike around the Point and enjoy the waterviews from every area. We look forward to hearing from you. Click HERE to CONTACT US and tell us your vacation plans and we will confirm rental rate and availability. 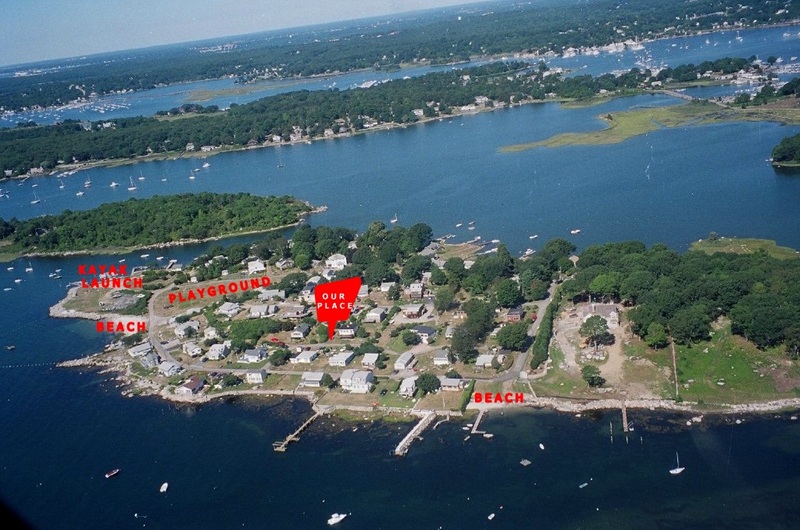 Our email address is also beachspot@hotmail.com and our phone is (203) 359-4009. Please be sure to check out the rest of our website including the FUN LINKS section for Top 10 things to do in the Mystic Stonington area during your vacation.